Sometimes I get super excited about something - like lemon tart, and then there's a sale at the local grocery store...and maybe I buy more than 10 lemons for the tart. Keep in mind, I'm fully expecting to make multiple kinds of lemon tarts...over and over and over again, until I get the perfect one! Only after two tarts, my eyes wander to a great recipe for yogurt cake (which has no lemons) and then what do I do with all these lemons?? The Joy of Cooking came to my rescue. Lemon curd. 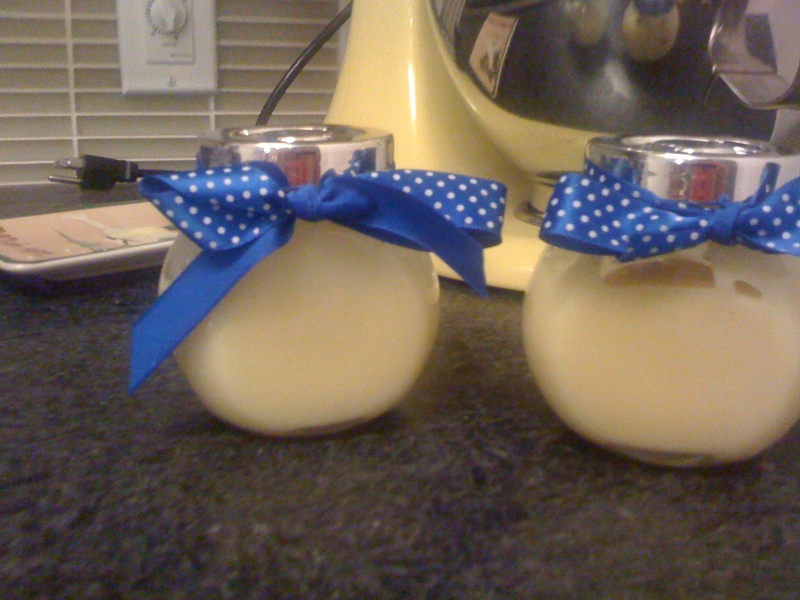 The Japanese dollar store also came to my rescue, two really cute jam jars, large sized, $1.50. Whisk 3 large eggs, 1/3 cup sugar and the zest of 1 lemon together. Add 1/2 cup strained lemon juice and 6 tablespoons of unsalted butter, cut into individual pats. Cook, stirring constantly until it looks like custard. Strain into mesh sieve over a bowl to get the white egg bits out. I know, you can also double boil this bad boy and make it without the bits if you separate the yolks. I am lazy. And I still have egg whites from my last lemon tart. So I sieve. Stir in 1/2 teaspoon vanilla. Pour into super cute jars. Tie ribbon and refrigerate. Ta da! How does one use Lemon Curd? On toast like jam? Is lemon curd popular in Kurdistan?